Kirk Nix Collection. 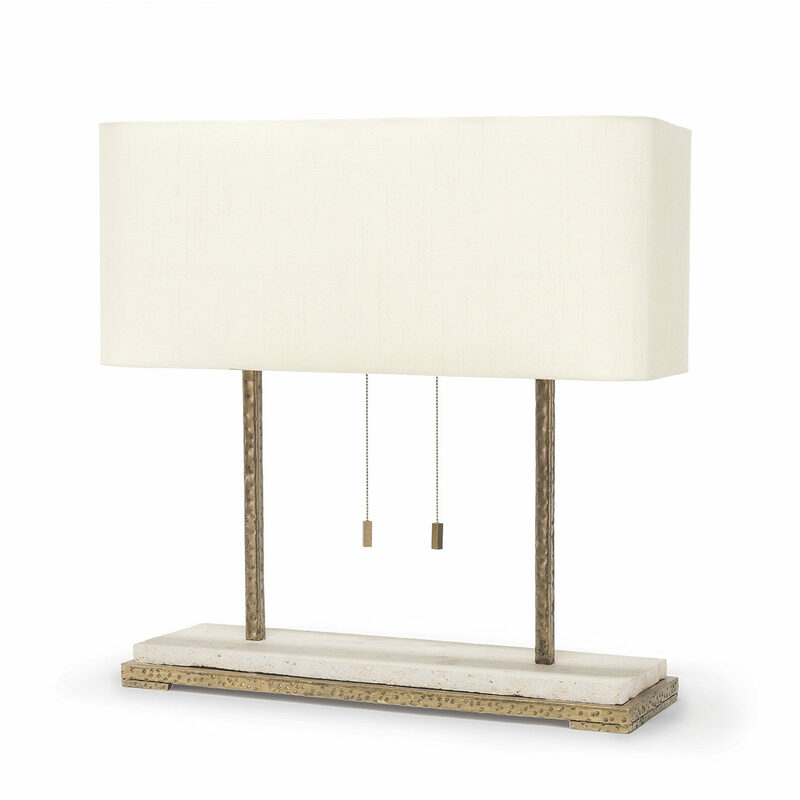 Hand-hammered metal base and body in antique gold finish accented with a slab of natural mactan stone with a cream silk rectangular shade and matching hand-hammered metal finial. 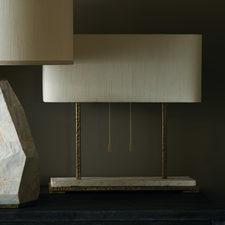 The double socket features decorative pull chains.